Rob Fenwick, 2016 finalist for New Zealander of the Year and speaker at the Hauraki Gulf Marine Park seminar imagines the Hauraki Gulf in the year 2050. All seabirds are precious taonga to Ngati Rehua-Ngatiwai ki Aotea people and even more so the tāiko who breed exclusively on our sacred maunga Hirakimata and Hauturu-a-toi. We want to ensure that the last remaining colonies of tāiko are protected to ensure they remain part of our natural heritage and legacy for all future generations of New Zealanders. Waka racing has returned to the Waitematā. The inaugural Tāmaki Herenga Waka Festival was hosted on Auckland Anniversary weekend in January, reviving a 150 year old tradition. The programme included competitive inter-tribal races and opportunities for the public to paddle a waka and learn about their cultural significance. Orakei Water Sports president and Hauraki Gulf Forum member Moana Tamaariki-Pohe said the gathering of waka ama, waka tangata, waka taua and waka hourua represented a dream come true for her father, Ngati Whatua kaumatua Tamaiti Tamaariki. 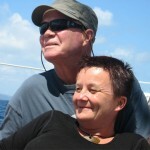 A new social enterprise has been established to support marine volunteering around Auckland. Blue Voluntours is dedicated to marine conservation and offers eco tours to marine reserves, sea clean ups, whale and dolphin research and stand up paddle boarding missions with beach clean ups. “We want to create a sustainable, rewarding experience for tourists and locals alike”, explains the founder of Blue Voluntours, Katja May. The Auditor-General has released a report identifying principles for effective co-governing of natural resources. 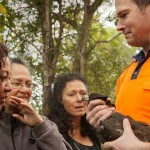 It includes case studies of how co-governance – involving iwi, central and local government and community groups – has assisted six environmental projects to achieve their goals. Auditor-General’s overview of principles for effectively co-governing natural resources. A review of coastal navigation safety by Maritime NZ has found that there is a sound framework in place to manage the movement of ships around the New Zealand coast, with procedures in place to assess risk and adjust safety measures if required. The report singled out two areas of possibly higher risk for vessels transits compared to other locations – the Hauraki Gulf and Colville Channel, and Cook Strait. “This review does not indicate an immediate risk to vessels or water users in these areas, but we will be working with harbourmasters, pilots, ferry operators, and the coastal shipping industry to look at how risks are managed in these areas, and whether there are any gaps,” Maritime NZ said. Boaties are being urged to show more care after several incidents with marine mammals over summer. A female orca with a dead calf, believed to have been killed by a boat strike, was reported off Tiritiri Matangi Island prior to Christmas. 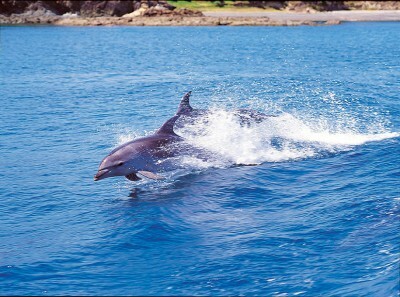 The Coastguard and Department of Conservation also responded to reports of dolphins being harassed by boats at Whangaparaoa, Leigh Harbour, Omaha Bay and by boats approaching “boil ups” of fish, which dolphins drive to the surface. Marine mammal regulations require boats to travel at less than 10 knots within 300 metres of any marine mammal and to approach them from behind and to the side. No more than three boats, including stand up paddle boards, are allowed at any one time within 300m. Boats are required to keep at least 50m from whales and orca and 200m from a mother and calf. Swimming with seals and dolphins is allowed providing there’s no young, but not with orca or whales. 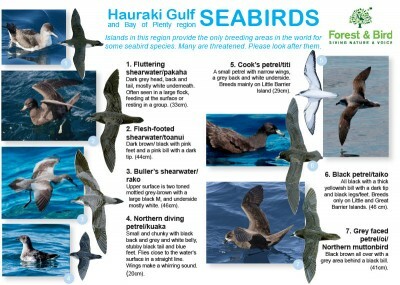 Forest & Bird has produced a new guide to the seabirds of the Gulf, especially for fishers. The flyer features 15 of the most commonly seen (and caught) seabirds and includes tips on how to avoid catches of seabirds and ways to safely release them if you do. Snapper longline fishers in northern New Zealand want to show the public that their operations are not putting seabirds at risk and have recently taken part in the trial of on-board cameras, which they hope will help them prove this. 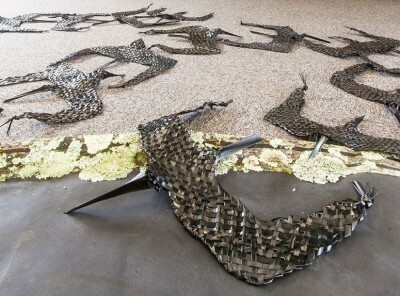 The video trial, which used woven flax seabirds attached to the fishing line, was funded by Department of Conservation. The Black Petrel Working Group, facilitated by Southern Seabirds Solutions Trust, is developing a proposal for Government to enable the trial to be expanded to a larger pilot programme. A new video explaining the Revive our Gulf project’s work to restore mussel reefs is a popular hit with schools and youtube viewers. 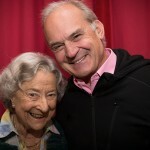 The video was directed by designer Shaun Lee, presented by biologist Rebecca Barclay and funded by Auckland Council’s Environmental Initiatives Fund. It has been posted on the Science Learning Hub and currently features on its home page. 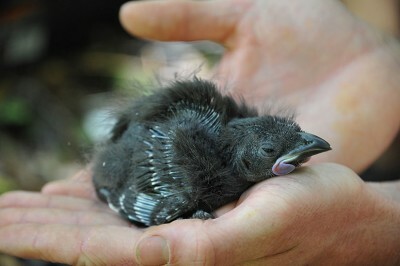 Dozens of kōkako chicks have hatched in the Hunua Ranges, which border the western Firth of Thames, thanks to Auckland Council’s biggest ever pest control operation this summer. Rat and possum densities were significantly reduced through the 1080-based pest control programme, which is expected to also benefit native plants, frogs and bats in the area. Council staff worked closely with seven iwi with tribal ties to the area and other agencies to complete the successful operation. 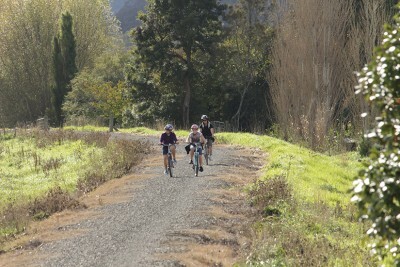 Work on the second stage of the popular Hauraki Rail Trail will start this year. The cycleway extension from Kopu to Kaiaua will be funded through grants by the Thames-Coromandel and Hauraki district councils and by New Zealand Transport Agency for a Piako River bridge clip-on. Highlights of the new stage will include Chenier plain shell banks, migratory bird habitat and the Miranda Shorebird Centre, Miranda Hot Springs, the Ramsar-listed wetland along the southern Firth of Thames shoreline and a crossing of the Waihou river via Kopu Bridge. The sixth series of Hauraki Gulf Marine Park posters featuring ‘Icons of the Gulf’ was published by the New Zealand Herald in February. The Hauraki Gulf Forum- produced posters feature the Gulf’s ‘treasure islands’, whales and dolphins and the Goat Island marine reserve. The posters are also distributed to all schools through Auckland Council and Waikato Regional Council education programmes. 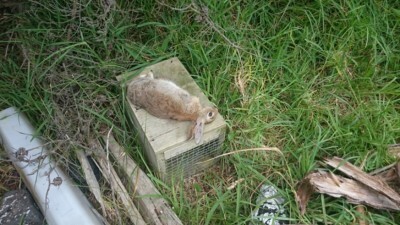 The Department of Conservation has reported that rabbits were recently released illegally on pest-free Motukorea (Browns Island). DNA analysis of four captured rabbits show they were not all related, suggesting there had been more than one release. Wilful liberation of animal pest is a serious crime with a $50,000 fine and any suspicious behaviour should be reported to the DOC HOTline 0800 36 24 68. 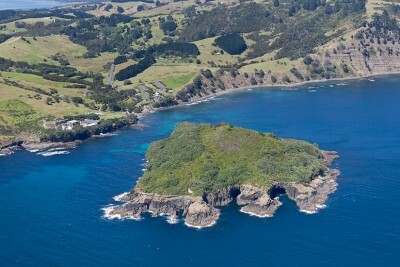 Monitoring at Goat Island Marine Reserve shows that numbers of crayfish and snapper are now lower than when the reserve was established in 1975. Following the creation of the reserve, numbers of crayfish recovered quickly, increasing four-fold in number by the 1990s with snapper also becoming bigger and more common. 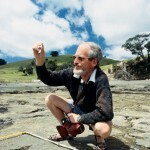 Leigh Marine Laboratory’s Dr Nick Shears attributed the decline to fishing on the reserve boundaries and the state of the wider fishery and said the pattern is similar at marine reserves at Tawharanui and Hahei. He said that the reserve boundaries needed to be extended seaward to protect resident animals and to safeguard the scientific and recreational values of the marine reserves. Fish and Game and the Miranda Shorebird Centre have expressed concern at an outbreak of avian botulism in the southern Firth of Thames. The disease, linked to warm temperatures and water with low oxygen content, has killed hundreds of game and migratory birds around the Ramsar Convention-recognised wetland in recent weeks. 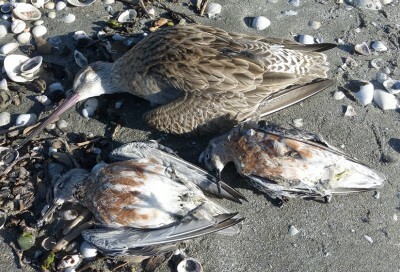 Dead ducks and wading birds have been collected by wildlife officers and Department of Conservation staff and samples sent to Massey University for post mortem analysis. Fish & Game’s David Klee said botulism is symptomatic of severely degraded environments and the extent of the outbreak was upsetting for staff and volunteers. The submission period on the Government’s proposed new approach to marine protection closed this month. A consultation document outlines four new forms of protected areas – marine reserves, species-specific sanctuaries, seabed reserves, and recreational fishing parks – to replace the Marine Reserves Act 1971 and proposes a recreational fishing park in the inner Hauraki Gulf. The Hauraki Gulf Forum recognises a new approach is needed and sees potential in application of the new categories in the Hauraki Gulf/ Tikapa Moana. Its advocacy for the Sea Change Tai Timu Tai Pari marine spatial planning process is also consistent with the approach’s emphasis on collaborative process. Chairman John Tregidga said a carefully integrated package of measures was needed to address the issues of decline identified through recent State of our Gulf assessments and to resolve protection and utilisation needs. 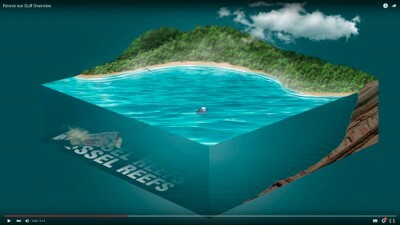 New Zealand’s fishing industry has introduced a new modular harvesting system that may replace traditional trawl nets. 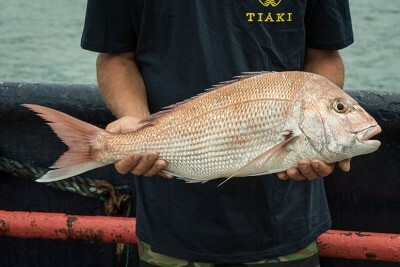 The fishing method developed by the Ministry for Primary Industries, Sanford, Sealord and Aotearoa Fisheries allows small fish to escape while the rest are brought aboard alive. Any unintended catch can then be released unharmed. A traceability app will allow consumers to access information about where and how it was caught and information about the species. The Tiaki brand is the latest stage in the six-year primary growth partnership, backed by Plant and Food Research, and represents a combined investment of $48 million. Over 300 wētā punga, bred at Auckland Zoo, were released into forest habitat on an island in The Noises group within the Hauraki Gulf in late December.